A morning adventure, in search of breakfast, led us to this gorgeous little bakery tucked away in Chelsea Market, New York. As soon as I saw Amy’s Bread, I knew where we were having breakfast! The choice of breads and bakery treats on offer were amazing. We just stood their gawking at all they had to offer, in such a small little space, knowing we were in for lovely breakfast! MrJ decided on two chocolate twists and I had a big, fat blueberry muffin. 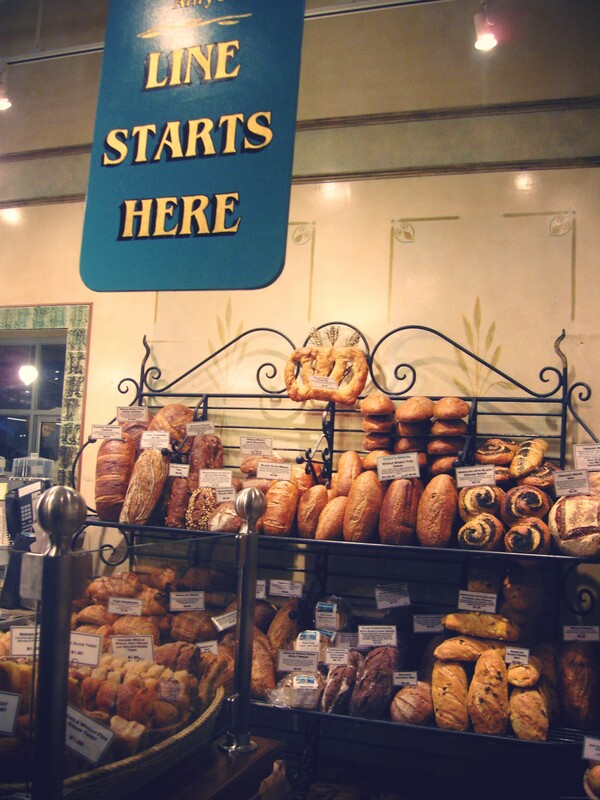 The bakery had a intriguingly european feel about it, and I could just picture myself coming there every morning, with a wicker basket under my arm, and buying basketfuls of bread! 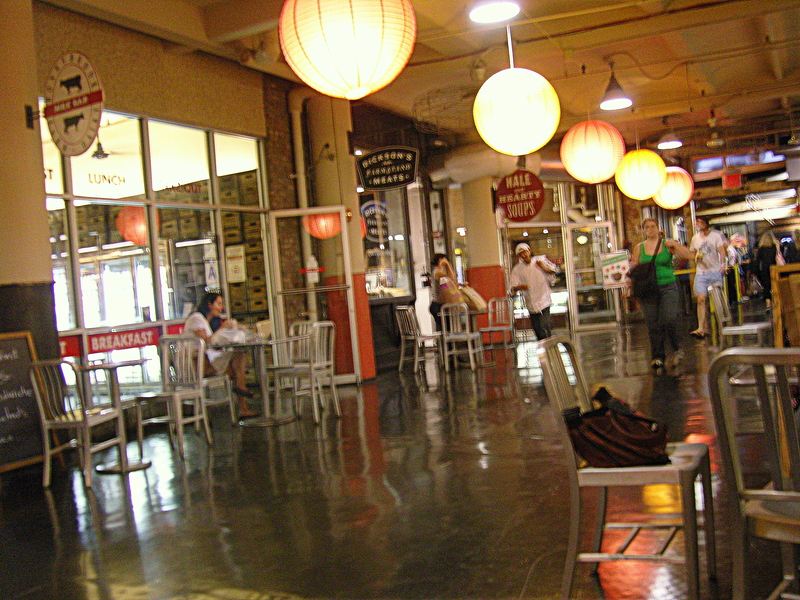 Chelsea Market is located at 75 9th Ave, (between 15th and 16th streets).